Such a simple yet very effective use of gradients. Two hearts and two wreaths. Image 75% of the original. Re-colour to suit your own creations. Psp format. 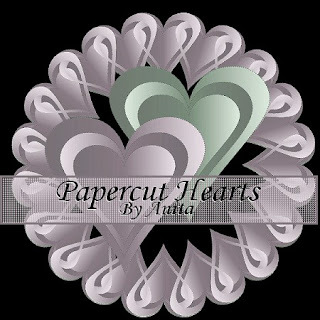 Thanks for sharing the Papercut Hearts!